A couple of months ago, me, with my pretend-to-be-modern-and-cool-as-hell attitude, and my, although not high degree but still existing, myopia, I couldn’t get this whole wear 24/7 eyeglasses even-if you have a 20/20 visual acuity or a superhero’s visual ability. You know… It really stroke me. I was always doing my best to have it good with my contact lenses so that I wouldn’t need to wear my eyeglasses when out, up to the moment that I came up with Tortoise & Blonde –and also realized that wearing your contacts too many hours can be harmful. This brand has something, how can I say… different! And I’m definitely one of these people that want to be extraordinary and wear unique pieces that will definitely make them “be heard” in the crowd. And T&B can absolutely offer you that. 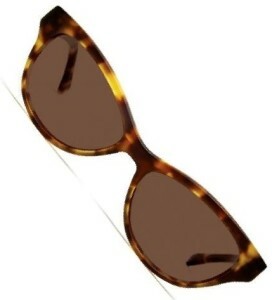 With unique designs of eyeglasses and sunglasses that are so comfortable and well-designed and deals (let’s say a BOGO 50% off Tortoise & Blonde coupon code) that allow you to shop for as many styles as you want without spending much, T&B came to make glasses the next big fashion thing! Give me a second to hide my excitement and get rid of my bad rap habit. No! I can’t! I’m so excited with the recent deals I spotted for Tortoise & Blonde, together with all their upcoming events that I feel like I discovered electricity. And although at the moment, I have more than 20 eyeglasses (sun and optical) in my drawer, I want to get 2 more. And I’m absolutely guilt free about it. I will use the BOGO 25% off Tortoise & Blonde promo code and, as usual, I’m going to babble about it- see this exact moment. But I have a huge problem here! I’m so indecisive that I think I’m going to use this code twice. 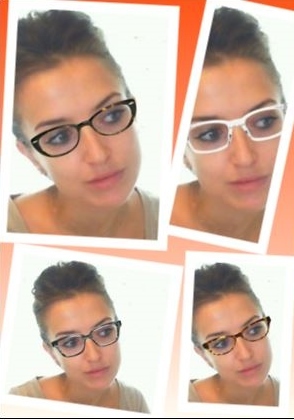 Because, after spending a day persuading myself that I need more optical eyeglasses than sun ones, now, I’m being obsessed with 4 different styles and I’d really need your help to decide. Because if you leave me like that for another hour then I’ll have to (oh, poor me) get them all. WOW! Please don’t pay attention to what I just said and don’t help me, I’ll do it my way anyway. So, just get online and use for yourself the to-fall-in-love-with Try On feature (see picture) and spend at least 3 hours trying different styles on your face. -Add, add, add, add. And please be my face’s guest! Till this coming Friday that you should absolutely come back for unbelievable Black Friday deals from Tortoise & Blonde! See? Soon enough, you’ll love that trend too!